Lance D. Levine, 60 of Seaton, IL went to be with his Lord on Friday, September 28, 2018 at 11:08 p.m. at St. Francis Medical Center in Peoria, IL. Services are 11:00 a.m. Wednesday, October 3, 2018 at the Center Presbyterian Church in Seaton, IL. Burial is in the Norwood Cemetery, rural Alexis. Visitation is 10 a.m. until the time of service at the church where memorials may be left to Center Presbyterian Church or the Norwood Cemetery. 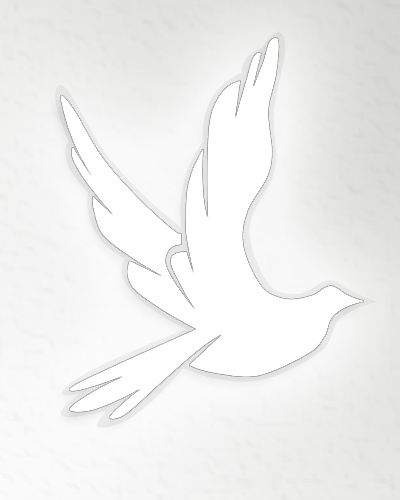 Fippinger Funeral Home is in charge of arrangements and online condolences can be made at www.fippingerfuneralhome.com. He was born June 2, 1958 to Don and Dorothy Dahl Levine in Monmouth, IL. Lance attended Warren Achievement and graduated from the Special Ed program in pre-vocational studies from Blackhawk College in East Moline. He delivered the Rock Island Argus in Seaton for over 18 years. Lance was a member of the Center Presbyterian Church in Seaton, IL. He was an avid Cubs fan and enjoyed Kenny Rogers and Batman. Lance loved to ride his bicycle, enjoyed everyone he met and never forgot a name. Survivors include his mother: Dorothy of Seaton, Illinois; cousins, Daryl (Nancy) Dahl of Lincoln, Nebraska; Stan (Brenda) Gregory; Terry (Bill) Anderson both of Alexis, Illinois and their families. Lance was preceded in death by his father, Don in 1985, his grandparents and various aunts and uncles.